use with the FC8000, CE6000, and CE5000 series cutting plotters. and additional rhinestone fill patterns. text scaling, text and object fit to a path are included, and popular file formats such as EPS, PDF, and SVG are also supported. features needed for decorated apparel and sign applications. series enabling contour cutting and die cutting of pre-printed graphics for labels, decals and full color stickers! 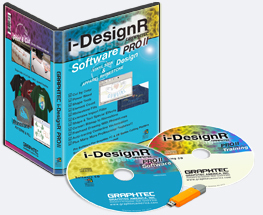 Graphtec strives to provide complete hardware and software solutions as well as comprehensive support for its customers. 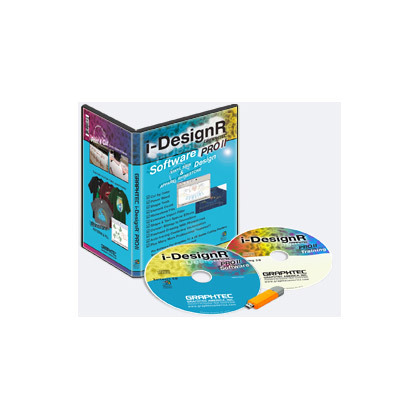 i-DesignR CE or i-DesigR Pro may purchase an upgrade to i-DesignR® Pro II by contacting their authorized Graphtec reseller. cutting a wide variety of substrates including vinyl, cardstock, apparel heat transfer material, and rhinestone stencil. Product is only available ONLINE. Please allow EXTRA time for delivery.